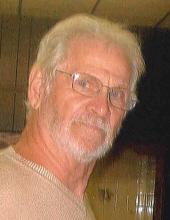 James E. "Jim", age 79, passed away Sunday, September 2, 2018, beloved husband of Kathleen Haas (nee Hinkle), loving father of Michael J. Haas, Lisa R. (Rodney) List and Jason E. (Kendra) Haas, cherished grandfather of Phillip, Brian, Kathleen, Tyler, Kody and Craig, cherished great-grandfather of Carter, McKenzie, Hayden, Masen, Rowen, Scarlett and Penelope. Services will be held at the Maham Funeral Home, 187 North Second Street, Williamsburg, Ohio on Thursday, September 6, 2018 at 1:00pm. Visitation will be from 10:00am until the time of service at the funeral home. Interment at Williamsburg Cemetery following the service. To send flowers or a remembrance gift to the family of James Edward Haas, please visit our Tribute Store. Deliver Flowers Wednesday 10 to 4 pm. "Email Address" would like to share the life celebration of James Edward Haas. Click on the "link" to go to share a favorite memory or leave a condolence message for the family.